Vacationing down-south down-under usually means heading for Victoria or Tasmania, two of the most picturesque and inviting states in the country. 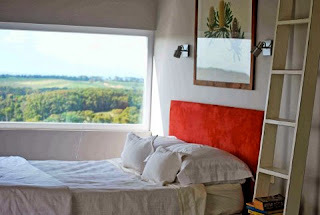 B & B's, and you’ll set yourself up for a southern vacation you’ll never forget. Melbourne, the capital city of Victoria, is a vibrant metropolis of almost 4 million people. It’s bursting with style, culture, outstanding restaurants, great shopping, and Aussie friendliness. 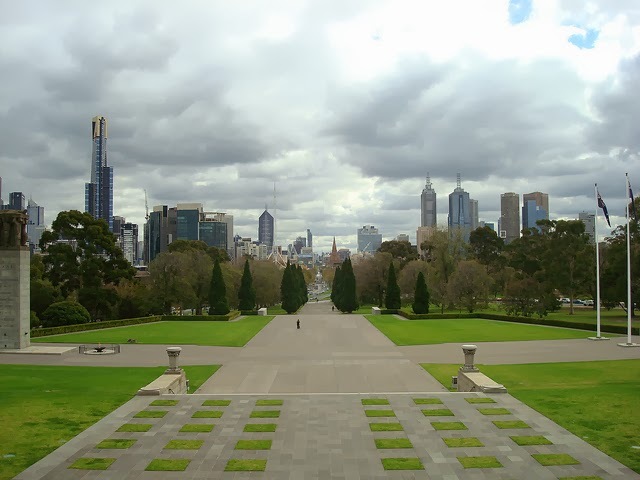 Its parks and tree-lined boulevards blend graciously with impressive buildings and modern skyscrapers. Victoria At Large brims with things to see and do. 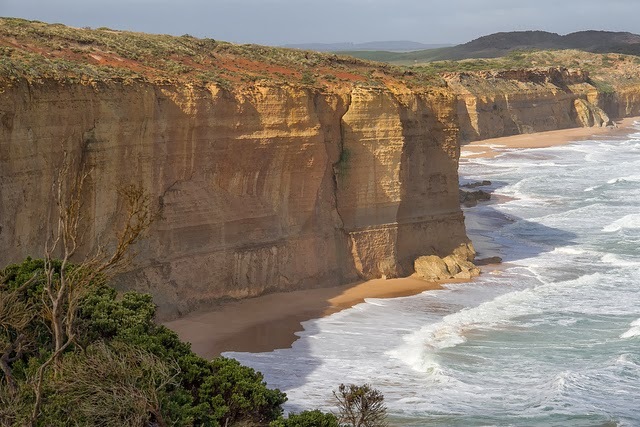 Outside of Melbourne you can taste wine at prominent vineyards, explore mountainous national parks and ski areas, take in the beauty of scenic coastal drives, and enjoy the charm of quaint small towns. 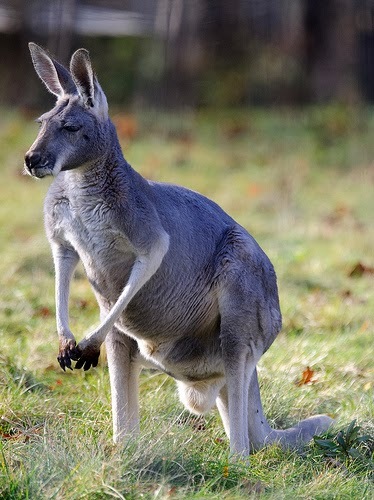 Australia’s island state in the south, has much to write home about: majestic mountains, magnificent lakes, beaches, rivers, waterfalls, forests, and picture-postcard towns like Hobart and King Island. As the father of the bride, you are not only giving up your daughter at the alter, you are also giving up a sizable amount of cash. The venue, the ceremony expenses, the reception expenses, ca-ching, ca-ching. 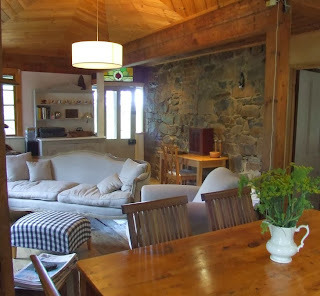 You’ve made your vacation home available to guests through the IVHE- Home exchange community on many occasions. The credits have been building up in your account. Why not apply them to a luxury wedding venue for your daughter’s wedding. And save money. Not a member? 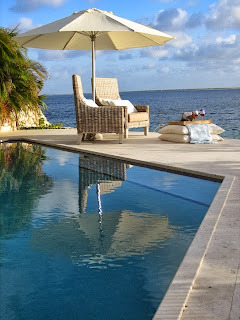 Find out how you can save thousands with IVHE vacation home exchange. Depending on the size of your wedding party, an IVHE luxury home, boutique hotel, resort property, or villa may be ideal for both the ceremony and the reception. 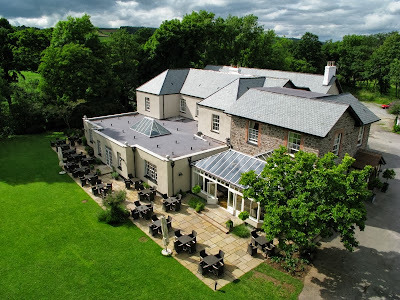 Let’s say you did a property search on IVHE’s web site and found this wonderful boutique hotel in Devon, England ( #0591). It may or may not be close to home, but what a fabulous place for a wedding. With 12 double-bed units and four junior suites, it can accommodate the wedding party, parents, grandparents, and a few special guests – 32 total. It has a gorgeous garden for an outdoor ceremony and excellent space for a fun-filled reception. The credits come from your IVHE account, and nothing comes from your wallet. Huddle with the bride and groom about holding the wedding close to home, at a nearby but different kind of location. If you live in the city, a nice bucolic setting would be a charming change of pace. Or, if you live in a small or rural town, holding the ceremony in or near a big city may be just the ticket. Family and friends can take advantage of cultural and entertainment events they can’t find at home. 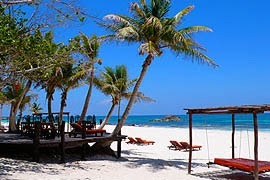 For over 400 years, until 1961, Goa was a Portuguese province. The European cultural influence is everywhere from its architecture to its Christian churches to its old colonial homes such as this -- Vivenda dos Palhacos in the village of Majorda. 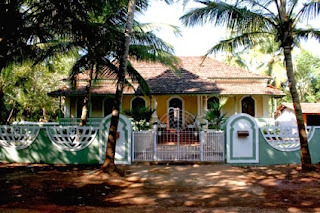 Completely renovated and totally charming, Vivenda dos Palhacos is off the beaten path yet within walking distance of a peaceful beach fringed with palm trees -- the longest beach in Goa. Sunsets over the ocean here are amazing. 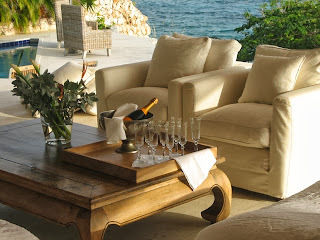 AMANSALA is set on a stunning part of the beach in Tulum, Mexico, on the Yucatan Peninsula. Its village-like setting consists of 24 spacious, well designed beachfront cabanas, as well as a selection of beautiful garden cabanas; ideal for a tropical wedding or personal getaway. IVHE offers a travel research service to Platinum Members that, either directly or through the property host, can put you in contact with local wedding coordinators and suppliers. If the kids have opted for a modest wedding close to home, you can still apply your IVHE credits toward something fabulous – a stay at an exciting location as a honeymoon gift. Any amount of credits can be used by family or friends to choose any home exchange property the credits will buy. But you, as the IVHE member, have to request the exchange, let the host know and assure the host that your guests will treat their property like you would, as you would be responsible at all times. In lieu of a splashy wedding, or a honeymoon to an exotic place, you can give the newly weds a membership in IVHE as a wedding gift. 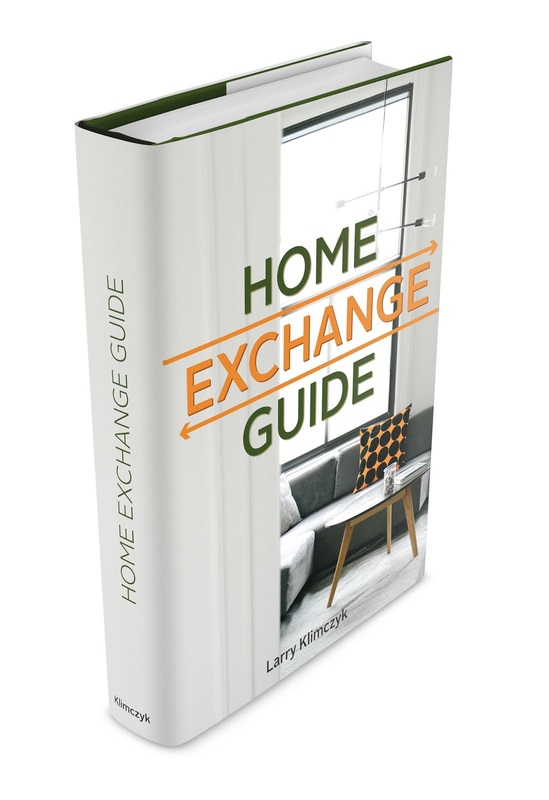 You will receive five (5) free credits for generating a new member (a referral ) worth $500 of vacation home exchange time, and your daughter and whatzizname also receive five (5) credits to launch their own IVHE-home exchange experience. When they make their first trade, you will get another bonus of 50 percent of the trade’s credit value. 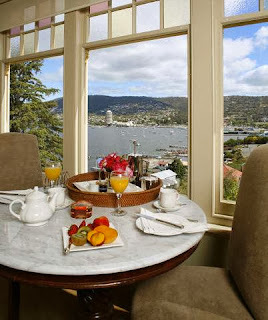 For more information on possible wedding venues, honeymoon suites, and membership, click us at www.ivhe.com. Here’s to the father of the bride -- a resourceful man, indeed. IVHE.com is the trading name of IVHE Limited, a company registered in England and Wales. Registered Office: 39 High Street, Leatherhead, Surrey, England KT22 8AE. 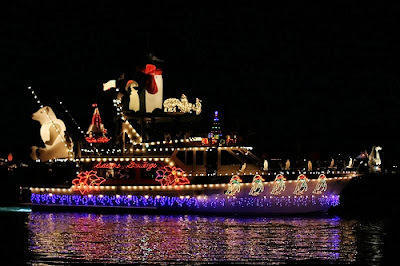 Christmas Boat Parades in the U.S. 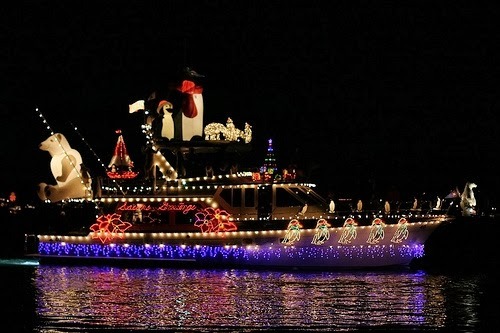 If you plan to be a home exchange guest during the holiday season and spend your vacation in a U.S. coastal community, chances are you won’t be far from a dazzling Christmas Boat Parade. Cities up and down the Atlantic coast, the Gulf of Mexico, and the Pacific coast (and even some inland places on bodies of water) roll out the holiday red carpet to boaters who love a parade and to spectators who love to watch. Florida alone has over 74 events. 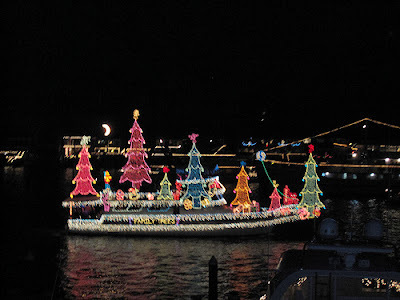 It's all about boats decked out like floats parading at night down intracoastal waterways, bays, and harbors. Some feature traditional carolers and modest strings of blinking lights, while others splash their way with glitz and glitter and rockin’ music. Themes may be set by parade officials, but they are usually left to the imagination of boat owners. And imagine they do -- Santa Clause in commodore clothes riding a seashell sleigh drawn by a bevy of mermaids; sugar plum fairies and tin solders cavorting on deck; the Three Wise Surfer Dudes Following Yonder Wave. Of course, you can always count on seeing Rudolph at a boat’s bow guiding the way with his red-nose beacon. It’s all great fun for everyone – the nice and the naughty. Florida has the longest coastline of any U.S. state. In cities all around the peninsula, from Jacksonville to Pensacola, thousands of boats strut their stuff in holiday parades. All of the boat parade celebrations are bound to brighten your holiday spirit, but Key West presents one of the most fun, and IVHE home exchange offers one of the most unique ways to enjoy it – from your own private luxury sailboat, a floating condominium that can accommodate six. No sailing experience necessary. This home exchange comes with a captain who can park your boat along the parade route (Key West’s historic seaport and harbor) for a front row seat. 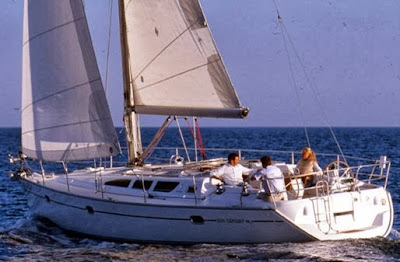 And the next day take you out to sea for all the pleasure that sailing has to offer. Regardless of your coastal location, check with the local or state tourism office for details on participating in a parade with your own boat or with a rental. For landlubber spectators, information on reserved seats dockside, and the nearest wells for holiday libations, is also available. If you are not a member of International Vacation Home Exchange and would like to learn more about it, visit us at IVHE.com. What more can you say about a beautiful coastal California city than this: It has the largest Mercedes-Benz dealership on the planet, a long list of prestigious yacht clubs, and hundreds of fabulous homes (many of which welcome guests on a luxury home exchange). Okay, it’s an enclave of wealth, but there’s a lot more to it. Just ask people like these with all kinds of holiday budgets: beachcombers, boaters, fishers, rowers, kayakers, paddle boarders, surfers, bird watchers, whale watchers, girl watchers, sunset watchers, golfers, campers, mountain bikers, boardwalk strollers, nature hikers, joggers, daytrippers, home exchange'rs, night lifers, chic shoppers, art stoppers, and foodies. The weather is gorgeous. It never freezes. Highs seldom reach into the eighties, and it only rains when it needs to. All of which contribute to the abundance of outdoor fun and the popularity of vacation home exchanges. Newport Harbor is the largest recreational boat harbor on the U.S. west coast. Scheduled boat tours and charters are available for all kinds of activities, including sightseeing, sports fishing, and whale watching. For a really festive boating experience, catch one of the sunset cruises and experience the Newport Beach bay and coastline two ways: during sunset when the sky turns to fiery colors, and after dusk under the stars. Music, bar beverages, and snacks add to the enjoyment. An excursion you’ll long remember is a ferry ride to scenic, romantic Catalina Island, just 22 miles across the sea to the village of Avalon. Only a mile in diameter, Avalon is easy to navigate by foot, rental bike, golf cart, or public transport. 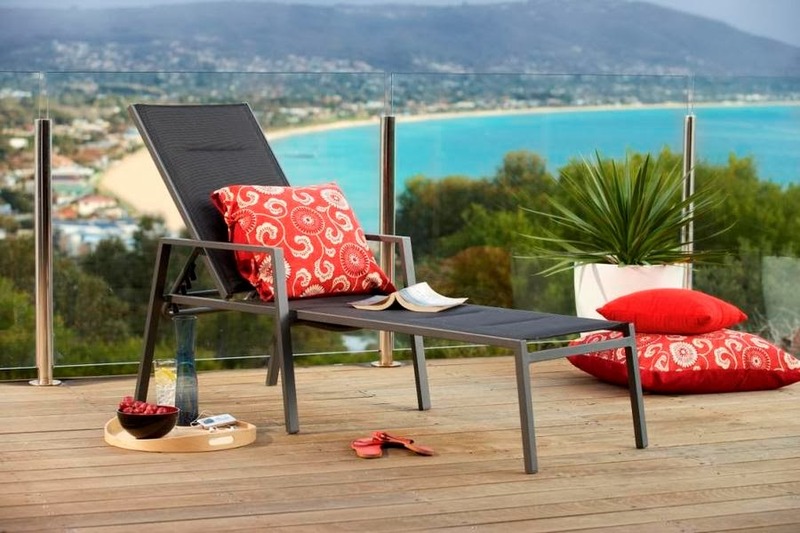 You can explore quaint shops, galleries, dine al fresco, or just relax and listen to the waves. Speaking of islands, here’s one you’ll love to get stranded on – Fashion Island in Newport Beach. It’s a lavishly landscaped promenade of luxury boutiques, restaurants, and cafes. 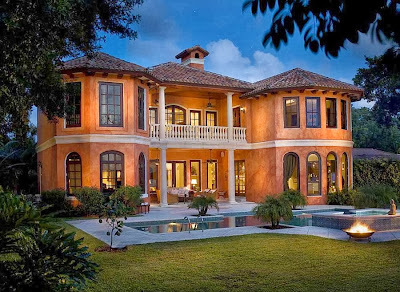 Italian style piazzas with fountains and palm trees enhance its sophisticated style. This place was made for serious shoppers and window shoppers alike. Newport Beach, and other southern California vacation spots, offers IVHE.com home exchange members many great opportunities for luxury home swaps. 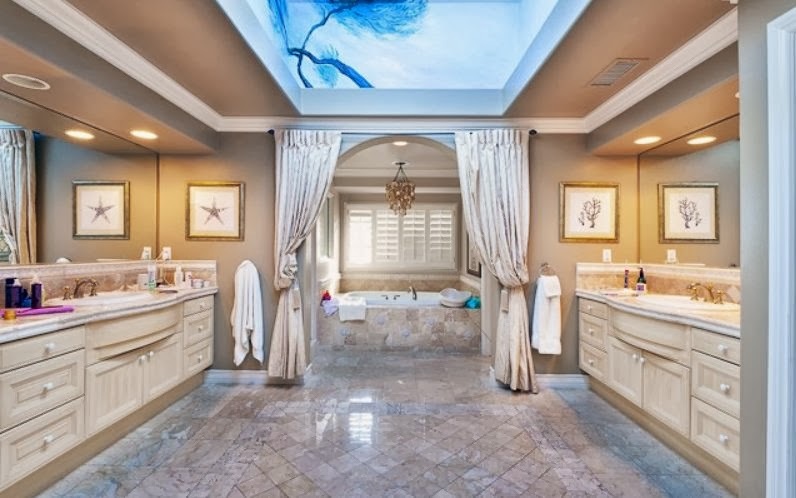 Here's a dazzling home exchange example! When you’re on vacation, food and drink can be one of the biggest expenses, thanks to pricey room service, marked-up restaurant meals and tips. After all, it’s not like you can skip meals altogether – even if you did fill your plate up four times at the hotel breakfast buffet! By enjoying a vacation home exchange with IVHE, not only do you save a fortune on accommodation, but you never have to worry about forking out handfuls of cash for food when you don’t want to. 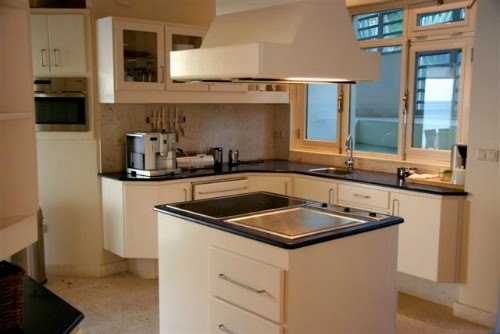 Most vacation home exchange properties come with full kitchens equipped with ovens, stoves, refrigerators and microwaves. The perfect example of this is home exchange property #0559 – the kitchen here comes with everything you could ever need to cook your favorite meals on vacation and save you money. Some of the kitchens even come complete with extra mod cons, such as smoothie makers and waffle irons so you can enjoy a fancy restaurant-style breakfast without even changing out of your pajamas. As well as being a fantastic way to save money whilst on vacation, cooking meals at home is also a top method of teaching your little ones about the importance of healthy eating, a great way to impress that special someone with your cooking skills or even a method of ensuring you’ll get your dinner cooked just how you like it. Many of the IVHE home exchange properties also feature stunning BBQ areas where you can gather around and chill out whilst enjoying the wonderful smoky aromas wafting over from the grill. 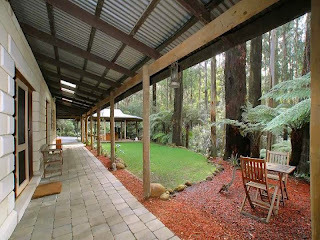 Vacation home exchange property #0775 has a stunning BBQ area with plenty of comfy furniture for relaxing. During summertime you don’t want to be stuck inside a stuffy restaurant when you could be enjoying a perfectly grilled steak alongside a glass of your favorite wine under the stars – all for a fraction of the price, too. If you like to splash out on holiday and you’re not concerned with saving money then cooking meals at your IVHE home swap property will allow you to enjoy bigger and better nights out during your vacation. By cooking a meal or two at home instead of dining out at a restaurant, you’ll be able to save enough money to visit that hot new nightclub you spotted on the first day or visit the theatre for a cultural evening. When you take into consideration the cost of food, vacations can get terribly expensive and whilst room service is certainly convenient, extortionate hotel prices, tips, delivery fees and the all-too-easy hotel mini bar can add unforeseen and unwanted costs onto your vacation bill. 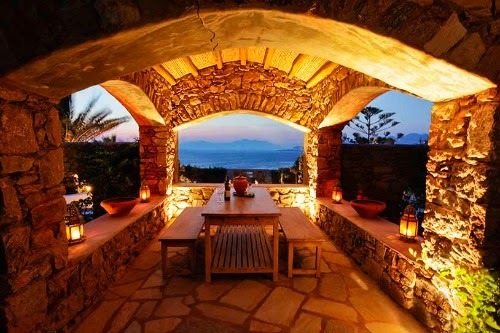 As such, an IVHE vacation home exchange property gives you the opportunity to take advantage of cost-saving facilities – such as a gourmet kitchen – which you just won’t find in a hotel.